The river is a recreational treasure in the midst of a large city, and like urban waterways around the world, it is both easily accessible and easily impacted by humans. 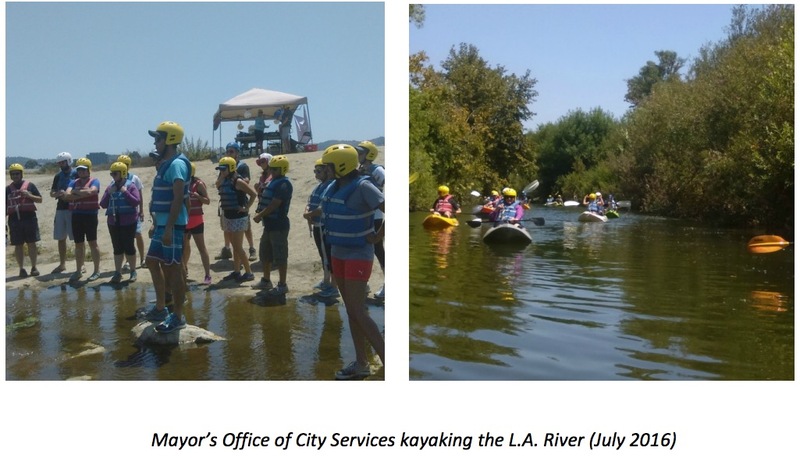 The City of L.A., the Council for Watershed Health and Heal the Bay all monitor water quality in the L.A. River. The river can be enjoyed safely by kayakers and other recreational users with appropriate precautions. “We are grateful to Heal the Bay for their study of water quality in the L.A. River, which supplements the City’s ongoing testing program. The group’s findings agree with our most recent water quality results, discussed at the Board of Public Works last week, and demonstrate the continued need for strong stewardship of this historic treasure.